The video and pictures on this page illustrate Week 15 of our free internet meditation course. Do not attempt this exercise without reading the detailed instructions from the email course, or in the book Roaring Silence. It is extremely strenuous and potentially fatal – for example if you have a heart condition. Video of vajra posture explained by Ngak’chang Rinpoche. 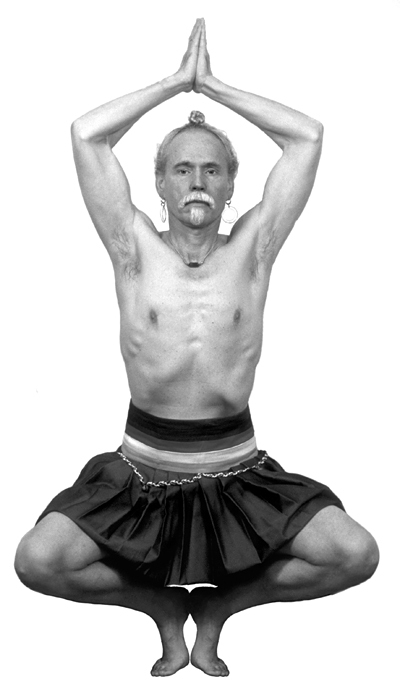 He is wearing ang-ra, the garment traditionally worn for Tibetan yoga.